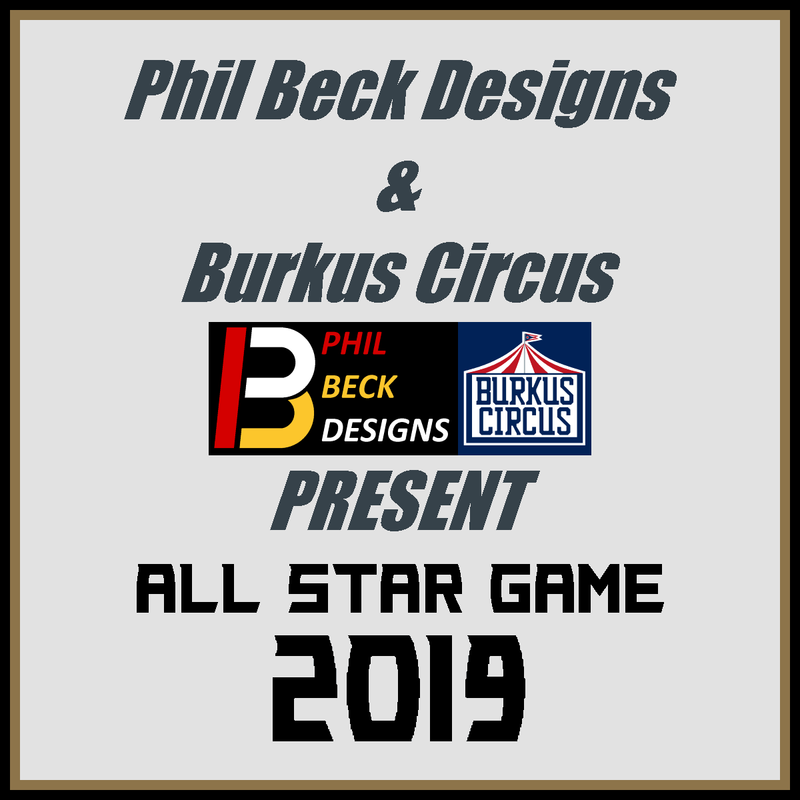 HJC Design Blog: Tuesday: BurkusCircus & Phil B.
Tuesday: BurkusCircus & Phil B. Overall the title page does what it is supposed to do, which is good. Some background texture or a background image could bring it up a point or two. The location page is the weak point of this presentation. It could use more flash in my opinion and Las Vegas should jump right out at you, with the other information being secondary. I like the logo as it seems plausible. 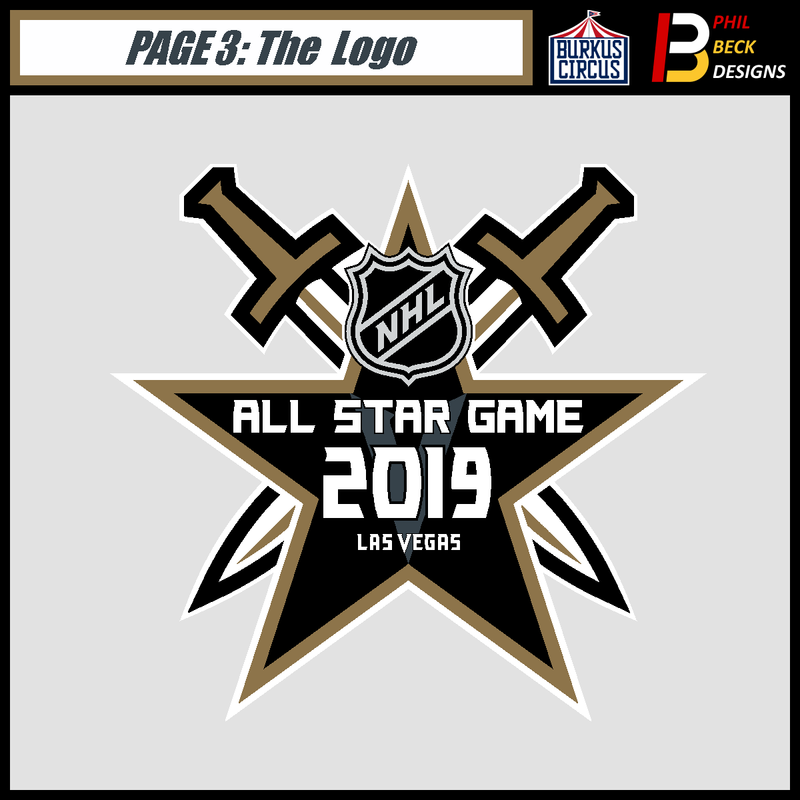 I think ALL STAR GAME should be bigger though, but overall a very nice logo. The jerseys could use some black or red trim to liven them up a bit right now. The grey jerseys with a grey background just make me think of a cloudy day with rain on the way. Not entirely pleasing to look at. The wildcard page is good. Not only do they show us who will be in the game, but they also present to us what numbers the players will wear and how they will look on each jersey. A creative way to show us some basic information. Good use of the wildcard page. 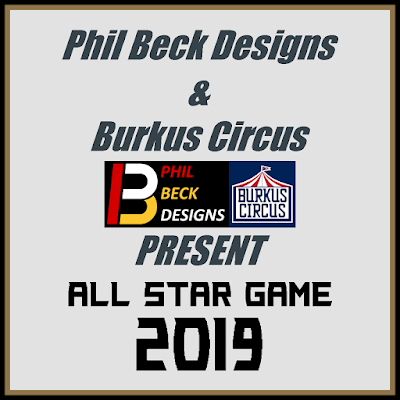 Now let BurkusCircus and Phil B. know your thoughts. Positive or negative, leave them in the comments section. Decent showing guys, good work! The logo is probably the best part of the project. Not too flashy, but very realistic and suitable for Vegas. Looks great! The jerseys are pretty solid too, I love the overall "V" design. I feel like there should be more black in them though. The rosters are pretty solid, although by 2019 I doubt Doan will be playing. 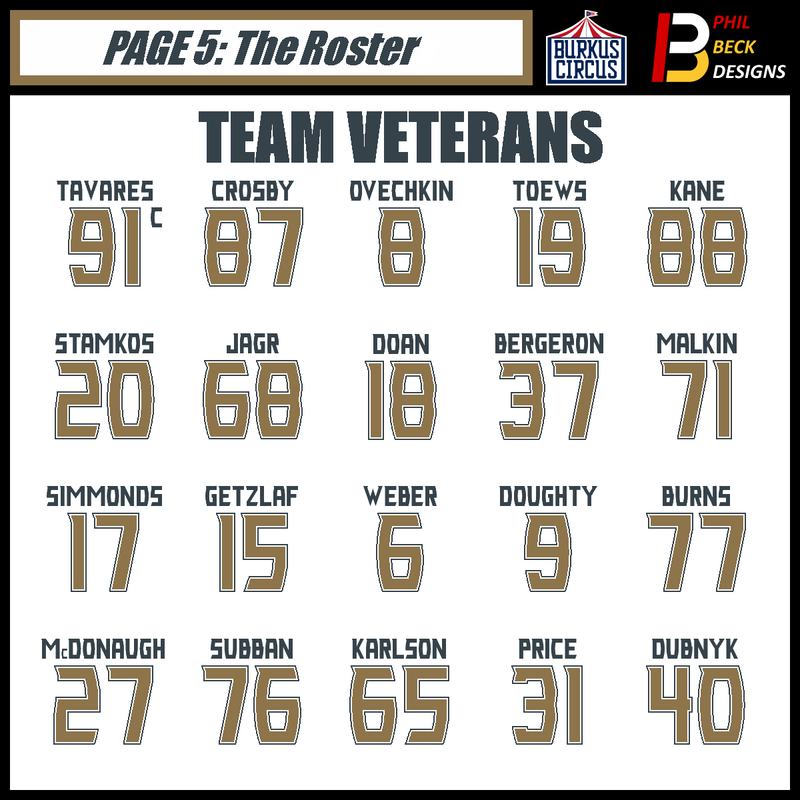 I like the idea of an Veterans vs Young Stars game. The presentation and the location pages are the weak points of this presentation, but otherwise good work! 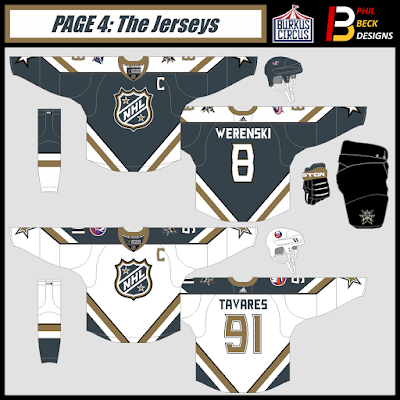 The jerseys and fonts are masterfully done. 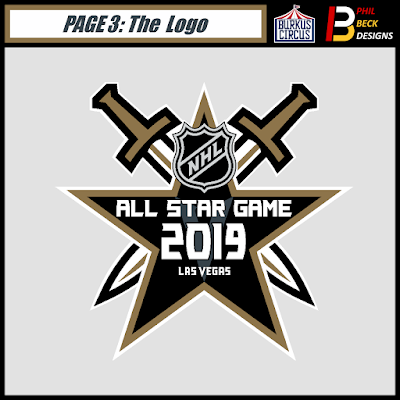 The logo looks like it could've been designed by those who designed the LA ASG logo, but doesn't have the creativity and cohesiveness of the Nashville logo. Great job, guys (and nice ID, Burkus)! I take 0 credit for that (the ID). All Phil.